Sometimes the earth spills into the sea. The boundaries become blurred between earth and water and sky, and there is so much splendor there that you are left stunned, speechless, and spellbound. And you catch your breath because the moment you have been waiting for is here. You have found the best beach in the world. He doesn’t even know it, but it was Scotty Graham who brought me here. 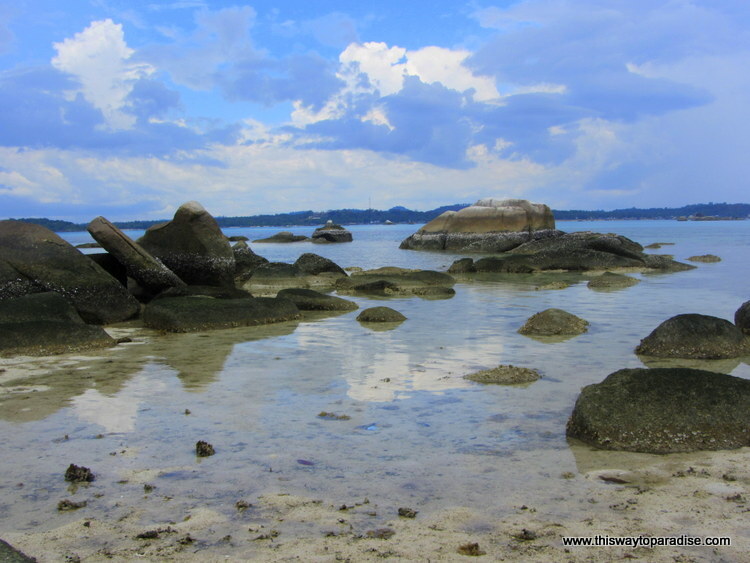 I saw his stunning photograph of Tanjung Tinggi beach and decided that I just had to go. Yes, I am like that. Show me a beautiful picture of a place and I will start formulating a plan about how to get there. Getting to the best beach in the world wasn’t exactly the easiest thing in the world, but it wasn’t the hardest thing, either. 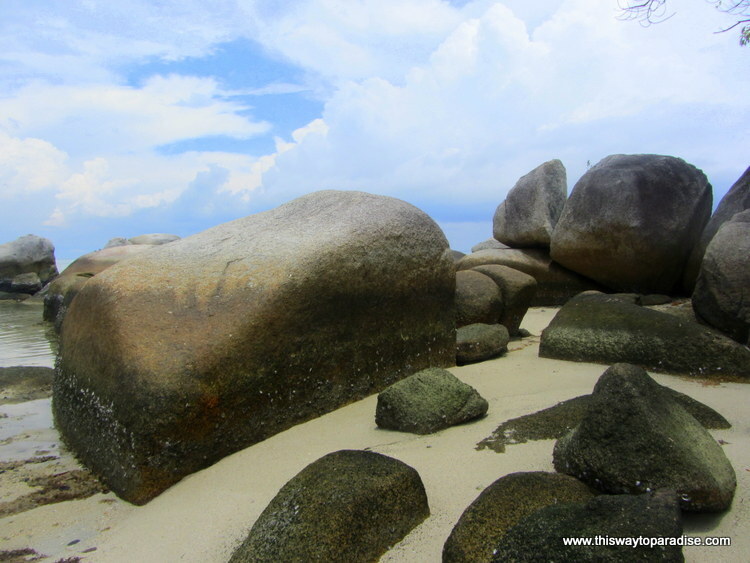 Tanjung Tinggi beach is on Belitung Island off of the southern coast of Sumatra. It’s not written about in the Lonely Planet. There aren’t that many tourists. In fact, I had the entire beach to myself at ten in the morning. I flew one-way from Jakarta for only $60. Yes, because there are no taxis yet on Belitung Island, I spent another $40 for the day to hire a driver with a car to take me there. 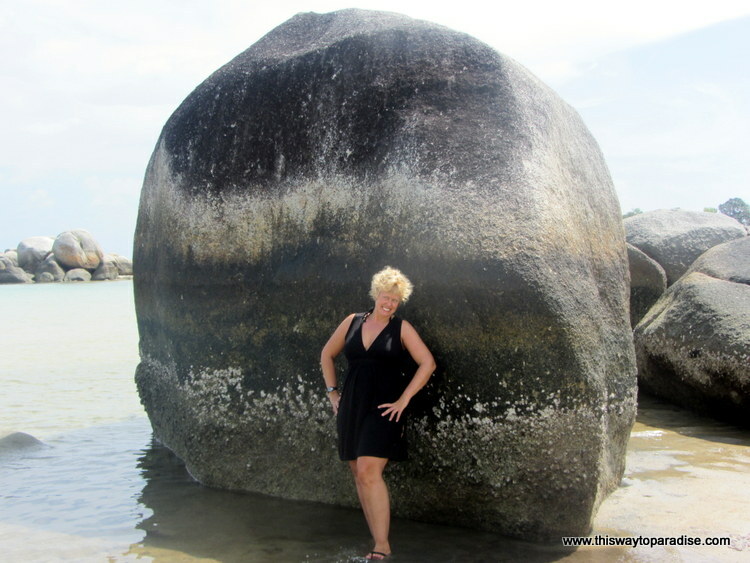 I also spent another $40 to hire a boat for the day and was taken to about ten islands, all of them having the astounding granite rocks lining their shores. Well, all except one. Sand Island, or as I nicknamed it, Starfish Island. Sand Island is the smallest island you will ever see, and is made of sand. Well, sand and starfish. I couldn’t believe at how many things I was being delighted by in one day. I also somehow got convinced that I should climb up a very tall lighthouse with twenty floors of winding narrow rust-laden stairs in my bare feet. Something got lost in translation on that one. My driver didn’t speak much English, and was using Google translate on his phone to ask me stuff he didn’t know how to ask in English. I swear on his phone, it said there would be a lift to take me up. Also, as is Asian tradition, you take off your shoes before going inside. Let’s just say I’d skip that part next time. My driver was great, though, and I loved how he started off the day by asking if he should call me Miss or Madame. I love that no matter where you travel in the world, that there are no two beaches that are alike. But all my life I’ve been secretly hoping to find the best beach, the perfect beach. And today, I think I found it. Never have I been left completely breathless by a beach such as this one. 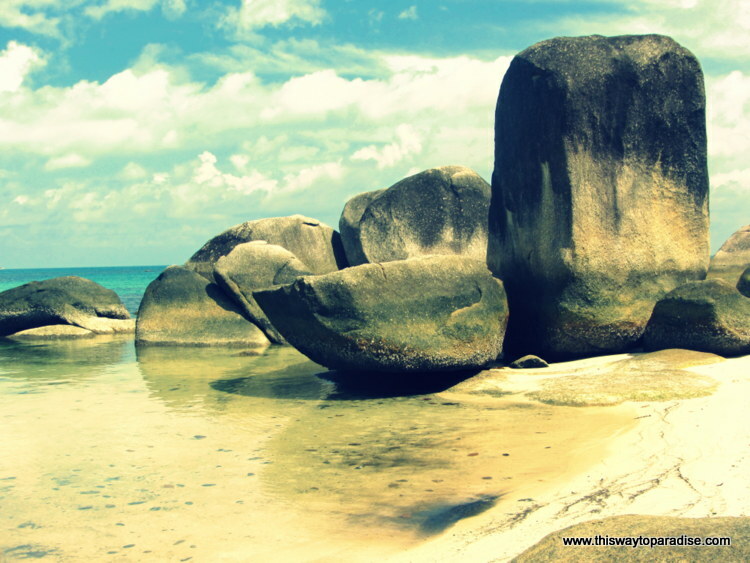 Tanjung Tinggi on Belitung, Sumatra. GORGEOUS! oh, my, I sooooo want to be there. I love your driver – he’s a hoot! these pics are stunning, as are you. i just have to travel with you some day dear! Thanks, Gabi!! I’m sure we’d have all kinds of adventures!! Spain has some pretty awesome beaches, but this one is incredible!! I love Spain as well! It’s true, isn’t it? We all have our favorite type of beach! A great beach — but an even greater adventure. In other words, behind every great beach is a story. 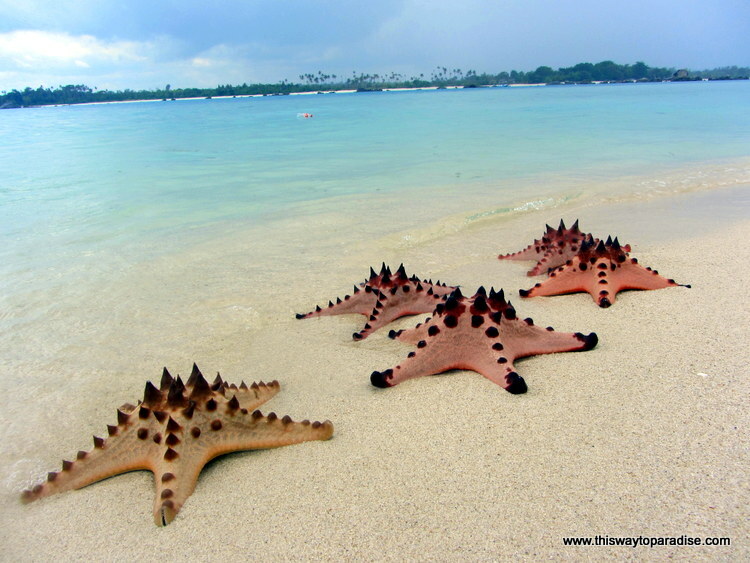 Wonder what it would be like to do diving off Sand/Starfish Island. Bet it would be amazing under the water there. 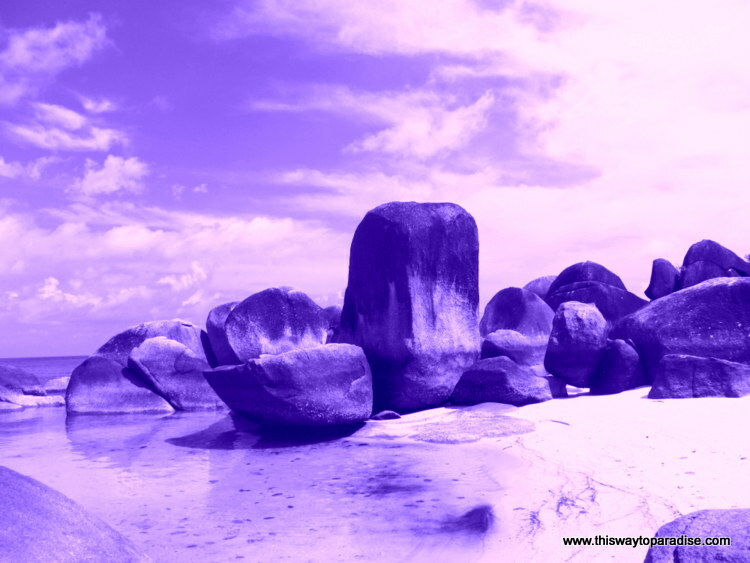 Love that you made the long journey just for the beach, too – that’s determination! Lots of people were snorkeling around there. The water wasn’t very deep. I got my fill of snorkeling in Raja Ampat recently, so I didn’t snorkel myself. I am thinking I should have, now! So looks like paradise to me, what a wonderful beach to visit. The lighthouse…well I would have gone to the top too!! Just give me a beach, any beach and I’m happy! Wow, didn’t realize how huge those rocks were until the picture with you in it! Gorgeous!